Calderone’s Concepts in Contrology is in its 5th year researching and developing material from seminal teachers in the field of body/mind connection and the revival of human spirit, correlating the Pilates teacher experience in a manner that is empirical and produces perceptible results, demonstrating that Pilates’ concept of a "return to life through Contrology" is validated in the realm of modern science and the study of human consciousness. Concepts in Contrology: Going Beyond Technique was presented at the Pilates Method Alliance 3rd Annual International Conference, "Pilates Pure and Simple" in Denver, Colorado (2003). Gary Calderone was also a featured speaker at the Polestar Pilates 3rd Annual International Conference, "The World of Pilates Excellence" in Miami, Florida (2004). At the Polestar event, in addition to his featured talk, Gary also led a roundtable forum on "The Relevance of Pilates in the 21st Century." Since the debut of Calderone’s Concepts in Contrology Gary has repeatedly been an educational provider at Pilates conferences, returning to Polestar Pilates (2006) as an educational sponsor, and Pilates on Tour in Denver (2006). Gary is dedicated to exploring Pilates as it relates to the experience of healing, human potential, and heightened consciousness inherent in Contrology - its intended outcome according to the words of its founder, Joseph Pilates. Gary has presented these concepts in a first of its kind CD entitled The Body/MIND Series, Vol. 1, the Pilates-Contrology Correlation: Going Beyond Technique, and has produced a companion booklet of graphics, tables and charts to illustrate these concepts. These valuable tools enrich our understanding of the transformational powers inherent in the Pilates method of physical and mental conditioning, a health technology originally called Contrology. The CD and accompanying materials are precursors to Gary’s forthcoming book, The Pilates Path to Health: Body, Mind, and Spirit, to be released in the winter of 2008. Gary is a second-generation teacher, originating from the Pilates Center in Boulder, where he graduated in 1993. He went on to complete 18 months of transformational training as a protégé of Wendy Leblanc-Arbuckle, creator of the Core Connections® Pilates 3-dimensional Body Mapping Paradigm at The Pilates Center of Austin (PCA), and became a ‘Teacher of Teachers’ (2000-2001), and delivered PCA’s Teacher Training Program in both Austin and Chicago. Inspired by his own training, life experience and the experience of training others, Gary realized that Pilates is not only relational to gravity but is also relational to life! 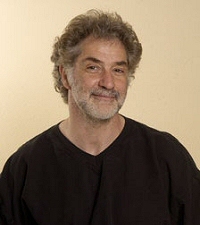 As Founding Director of the Pilates Center of Ft Collins, Colorado, in 1992, Gary brought the classical teaching to the attention of the medical community, illuminating the healing potential of the work, particularly around chronic/acute patient populations, culminating in collaboration with the Brain Injury Recovery Program (BIRP), to enhance patient recovery. Listen in and discover some of the hidden benefits to the Pilates Method. Learn more about the six principles of Pilates, the three key themes behind the Pilates Method, and even why Pilates is so much more than a fitness approach. It's really a fascinating show, with our author and guest who is both entertaining and knowledgeable. You won't want to miss it! For more information about Gary, The Pilates Path to Health - Body, Mind, and Spirit or about the Pilates Method, please visit www.pilatespathtohealth.com or you can reach him directly at gary@pilatespathtohealth.com. Pilates Path to Health - Winner of the 2012 About.com Reader's Choice Award!